Ancient, fingernail-size rodent skulls plucked from the dirt with tweezers are forcing scientists to rethink their assumptions about the arrival of much larger mammals in North America. In recent years, bones from the world's oldest mountain goat, coyote and black-footed ferret—and several teeth from one of the oldest cheetahs ever found—have been pulled from Porcupine Cave in Colorado, said Russ Graham, chief curator at the Denver Museum of Nature and Science. Subtle evolutionary changes in the tiny prehistoric rodents allowed scientists to date the larger animals. Those studies suggest that some Ice Age beasts were here hundreds of thousand of years earlier than scientists had thought, Graham said. It's even possible that some evolved here, then spread to the rest of the world. The conventional view is that many Ice Age mammals came to North America from Eurasia and elsewhere relatively recently—tens of thousands of years ago, not hundreds of thousands or a million. But at Porcupine Cave, researchers have found a mountain goat, a black-footed ferret, a coyote and a cheetah that date to 780,000 years ago, 1 million years ago, 1.5 million years ago, and 1 million years ago, respectively, Graham said. "This changes our ideas about how these animals originated and the direction they moved," said Graham, who leads a team of volunteer paleontologists digging for pieces of Colorado's prehistory in the cave. 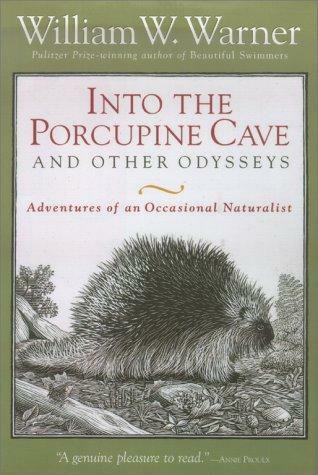 Porcupine Cave was discovered by miners at the turn of the century, and prehistoric bones were found there in the 1980s. The Denver museum has been digging at the cave each summer since 1992. Over the years, they've found the remains of an extinct Ice Age camel, a ground sloth, wolves, deer, badgers, turtles, frogs, skunks, prairie dogs, snakes, lizards, salamanders, and turtles. Many of the big prehistoric mammals vanished around 11,000 years ago, and scientists have been debating the cause for decades. Climate change and overhunting are leading contenders. "Colorado once looked like a cold Serengeti, with a much greater biodiversity than today," Graham said. The cave contains the earliest North American record of 19 birds, including the snowy owl, the spruce grouse, the black-billed magpie and lark sparrow. Cave diggers have uncovered pieces of nearly 100 prehistoric mammal species, a yield that is "just unheard of for a site of this age," said vertebrate paleontologist Elaine Anderson, a staff member at the Denver museum. "We're having to rewrite a lot of things because of this cave," she said. How did all these animals end up in the cave? Some fell into it through holes in the ceiling. Others lived inside the limestone cavern and some were dragged in by predators, Graham said. Their remains became embedded in the layers of dirt, gravel and rock that periodically washed into the cave or fell from its ceiling. Some of the debris fell through ceiling holes like sand pouring through an hourglass, depositing a cone-shaped pile directly beneath the hole. These "talus cones" are the main targets of the paleontologists, who use paint brushes and plastic scoops to gingerly remove about four inches (ten centimeters) of dirt per day from a square, sandbox-like enclosure three feet (one meter) on a side. Every four inches (ten centimeters) of dirt represents roughly 2,000 years of cave history, Graham said. Volunteers use tweezers to pull tiny orangish jaws, leg bones and twig-thin ribs from the dirt, placing them in film canisters for safe keeping.